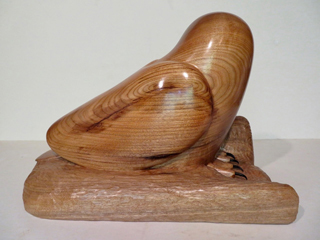 Snowy Owl carving life size in natural unpainted hardwood. 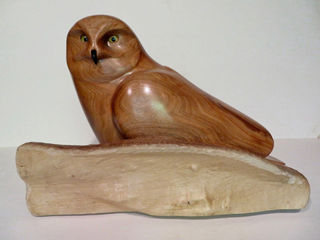 Snowy Owl carvings © Rand Jack. heartwood. The brown snowy owl is behind a sapwood snowdrift.